After a building time for more than hundred years, and a prolonged end in the year 2026, the Sagrada Familia is one of the world wonders. 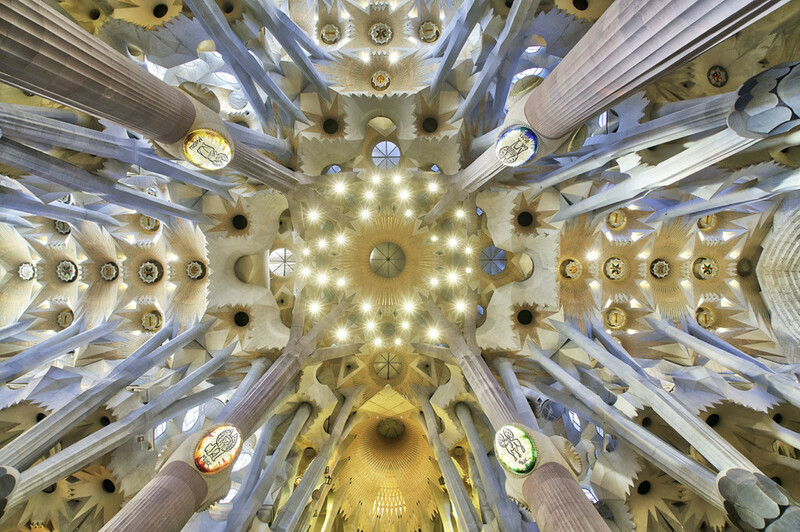 With its unique architectural style from Antoni Gaudi, it impresses spectators from the whole world. I used a 3-hour spare time from a congress to visit the interiors. It wasn’t easy to decide, what to photograph first. So I started with my entry point and made a step by step tour, where I made panoramas, wide angle, low light, root top-photos from all kind of angels I could imagine.